The comedian put these men on blast during the opening of The Hollywood Reporter’s 2018 Women in Entertainment Gala. 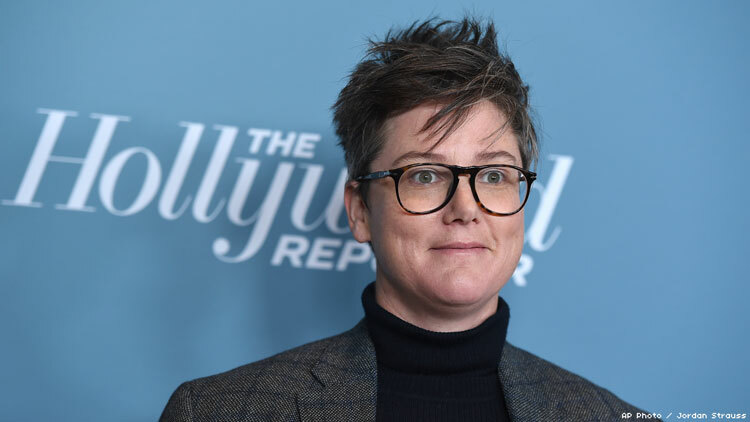 Hannah Gadsby is tired of “good men” defining what constitutes sexual assault. In fact, the proudly gay comedian is tired of “good men” distinguishing themselves from “bad men” in a seemingly arbitrary and context-driven manner. Men’s consistent behavior of degrading, objectifying, and assaulting women — especially in Hollywood — has been under the microscope for the past year since numerous sexual assault accusations emerged against former media mogul Harvey Weinstein. Last night, at the The Hollywood Reporter’s 2018 Women in Entertainment Gala, the stand-up comic called out “good men” — who she calls “the Jimmys” — that distinguish themselves from the Harvey Weinstein’s of the world. The Jimmys often insist that other men should just stop being creepy. Gadsby clarified that she still believes men can take a stand and help fight against misogyny, however, these seemingly “good men” are seldom consistent in their stances when it comes to their interactions with women. This allows for good men do bad things and still believe that they’re good, because they haven’t crossed the line, since they, themselves, moved it. The 40-year-old comedian then asked the audience to substitute men with white, cisgender, straight, and so on, noting that these groups shouldn’t move the line when talking about “good white people” or any other privileged group.